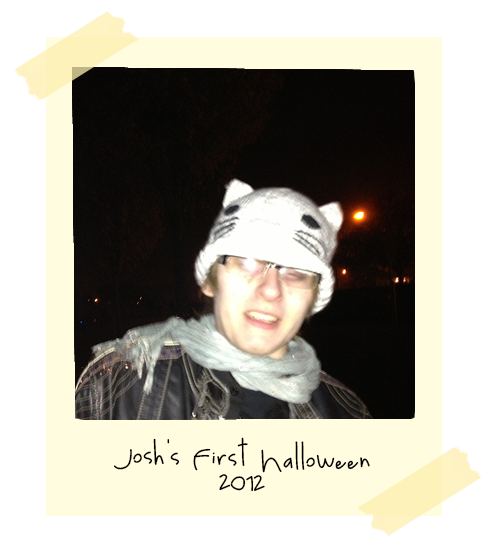 So, Josh had never done the whole Halloween trick-or-treat thing (apparently it’s not a big thing in England). So when he came over we dressed up and went to see the fireworks and bon fire. We also went trick-or-treating around my neighbourhood. This picture was taken after the fireworks. 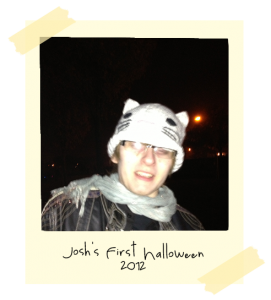 Josh was really cold, so he’s wearing my hat and my mam’s scarf.